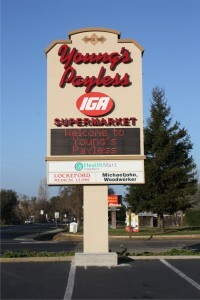 Illuminated Pylon Sign with an Electronic Message Center, Pan Channel LED Letters and Tenant Directory Panels. 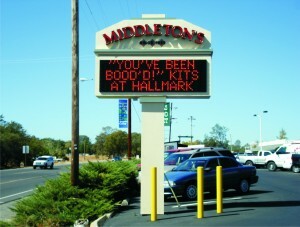 Illuminated Pylon Sign with an Electronic Message Center and Pan Channel LED Letters. Electronic Message Center Pylon sign with illuminated header and decorative cap. Copyright © 2019 Gary's Signs. All rights reserved.